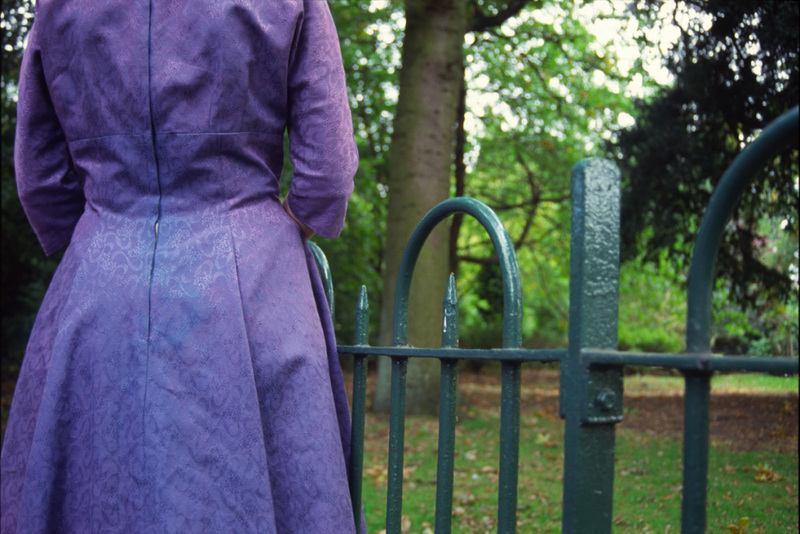 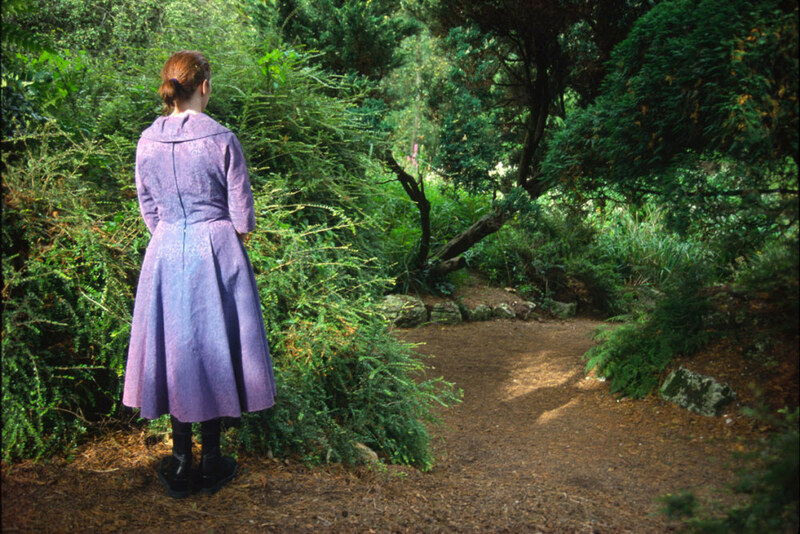 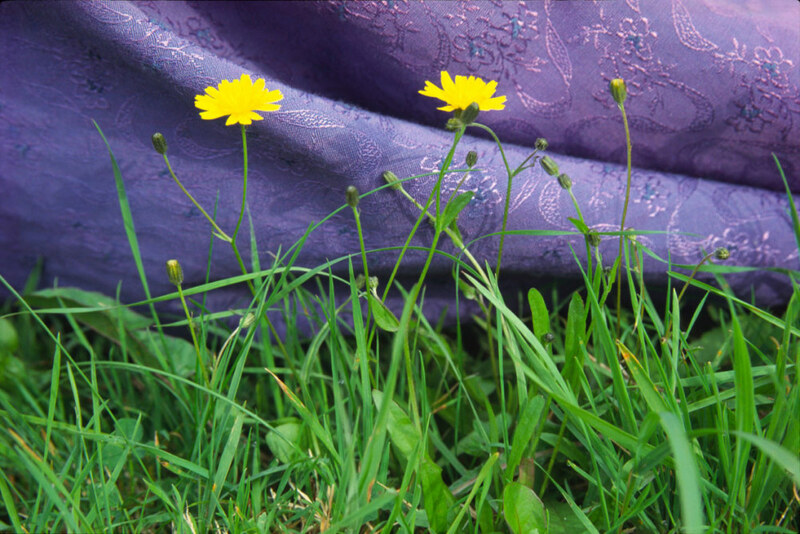 Photographic prints featuring a girl in a blue dress in a garden setting. 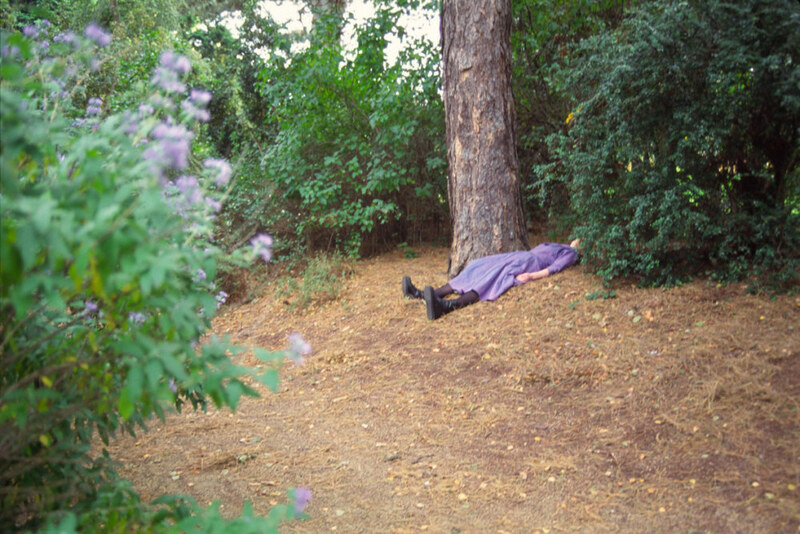 The work draws reference to an earlier work, Faint, 1999, which presents the repeated fainting of a girl. 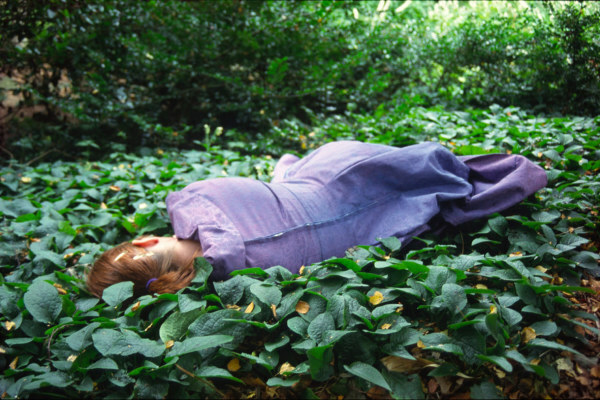 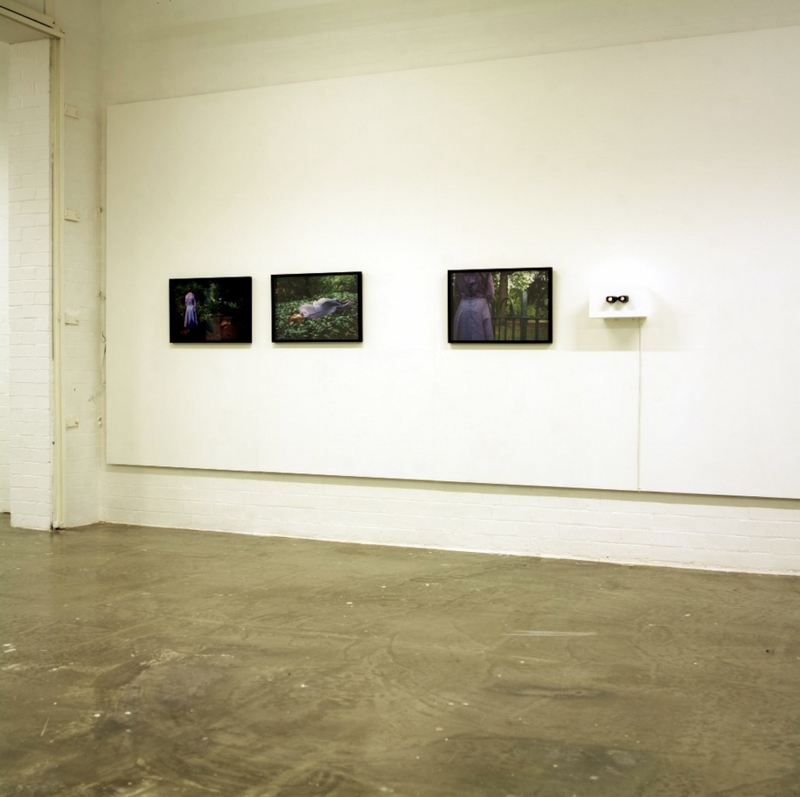 Drawing reference to the video Faint, 1999, which features a fainting girl and draws on ideas of mesmerism, trance and hysteria, Garden Series, depicts a girl in a blue dress in a garden setting. 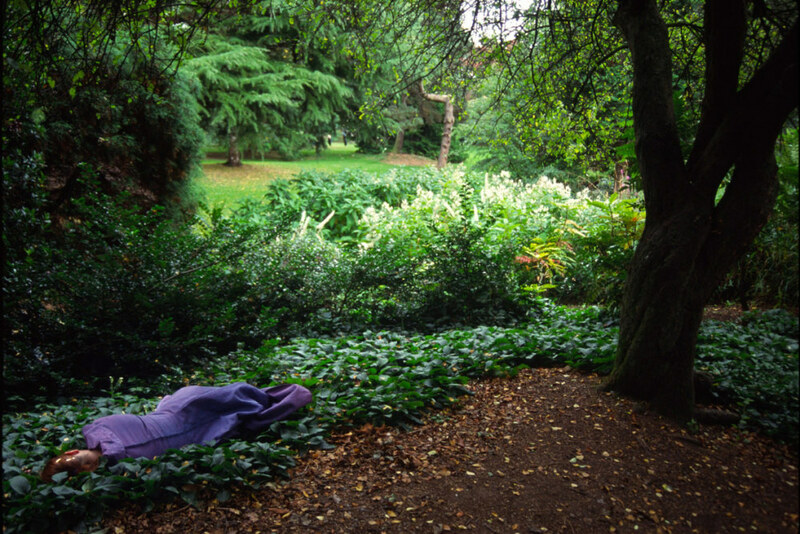 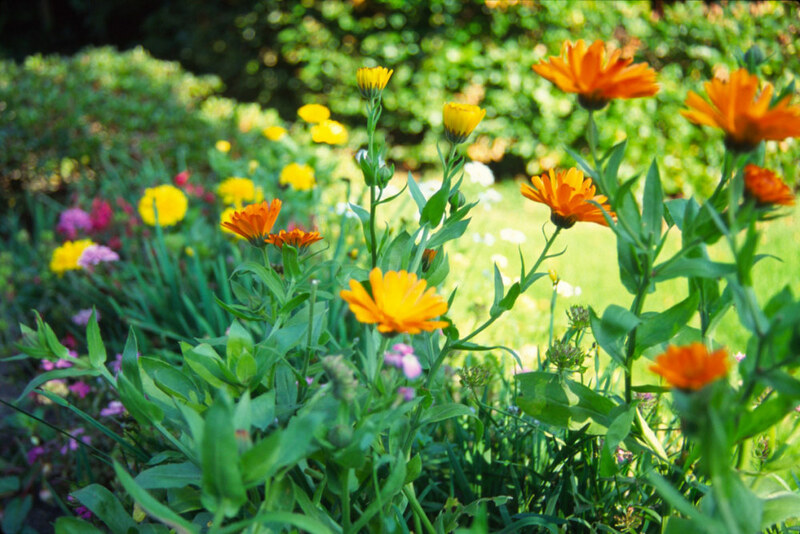 Images are shot in the Botanic Gardens, Belfast and in a domestic garden.